2. The best use of time, visiting pandas and the Grand Buddha in one day. 3. Free drop-off for visitors to Emei Mountain at Leshan bus station. Our tour guide will pick you up from your hotel in Chengdu. 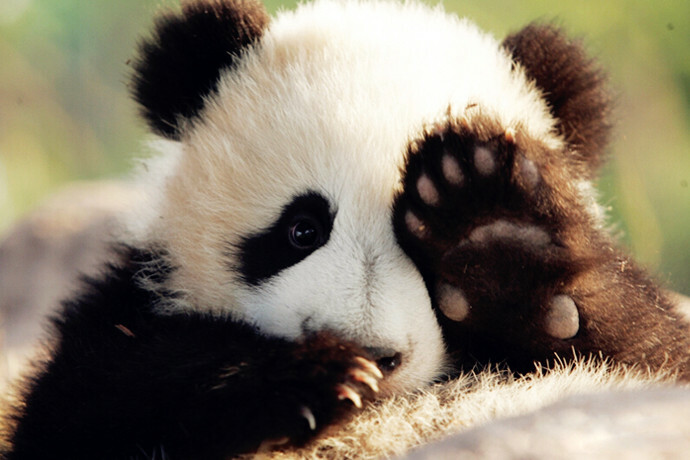 We will visit Chengdu Research Center of Giant Panda Breeding, where you can see the lovely Chinese pandas.the Chengdu Panda Breeding Research Center has been created and imitates the pandas’ natural habitat in order that they might have the best environment for rearing and breeding. The Center cares also has other rare and endangered wild animals. Lunch time: We will have a rest, and you can have a lunch. 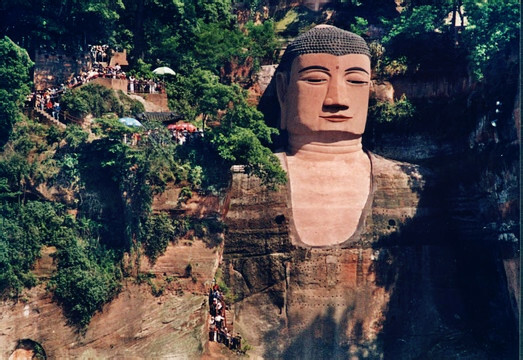 Arrive at Leshan Giant Buddha you will visit Leshan Giant Buddha by walking, with the explanation of the tour guide. After having a tour to Leshan Giant Buddha we will drive back to Chengdu City. You can choose to enjoy a Sichuan Culture show (optional with extra charge). 1. Travellers will receive a message about their tour arrangement while taking the check-in procedure at hotel front desk. 2. We will contact with travelers in the evening before the tour to confirm pick-up time in the next morning. 3. Our tour guide will call travelers' room upon arrive their hotels. 4. For this tour, you must be pay the tour fee in advance by credit card, paypal or bank transfer. Was not informed that the Buddha was under maintenance repairs more.. The group tour was not well planned. The visit to Panda Base required a lot walking and little time to see pandas and take pictures very long due to large crowds; however still enjoyable. Jack was a little difficult to understand sometimes (talked extra fast). Trip to Badaling way too long for time allowed. L more.. It was a wonderful tour, we are happy with the service. Thank you very much! more..